Hotel Jai Balaji is located within walking distance from the New Delhi railway station. Guests can easily access the metro station and bus stop from here. 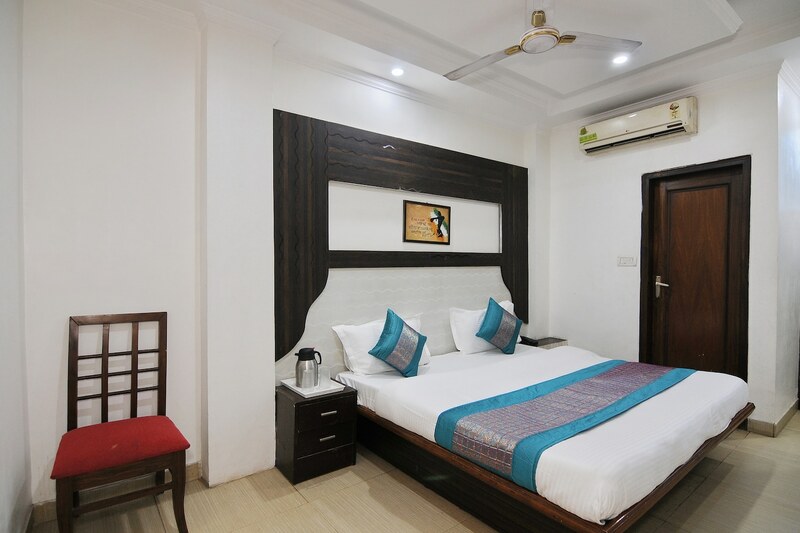 Attractions like India gate, Connaught place, Parliament and monuments like Ugrasen Ki Baoli, Jama Masjid and Chandini Chowk market are close to the hotel. The rooms are simple and have a hint of modernity. Its prime location is another plus for guests who want to navigate the city without hassle. The hotel offers air conditioning, power backup, free Wi-Fi, geyser, television, laundry and CCTV camera services. There are restaurants in the vicinity like Delhi sweet house, cafe Vegabond and darbar.